Establishing your business presence in London could be one of the best decisions you make. Here’s how a London presence will benefit you. Norman Foster, the architect of such diverse projects as the Apple Park in California and the dome at the Reichstag in Berlin, is a fan of London. He is quoted as saying, “I travel continuously, and I see many cities, but there is nowhere like London“. Contracts to work on Wembley Stadium, the London School of Economics, and the Millennium Bridge suggest London loves him too. London’s unique character could be good for your business. Establishing your business presence in London could be one of the best decisions you make. Here’s how a London presence will benefit you. Spend any time in London and you will feel that the world has come to visit. Sadiq Kahn, mayor of London, says that London will see 40 million visitors in 2025. The draw of this global powerhouse is immense. The greatest growth is in visitors from China, India and the USA. London offers visitors history, attractions, shopping, and culture that is second to none. Come and join the party. What Is a London Presence? Whenever a customer or business contact communicates with you, they use some form of address. This can be a physical address, a phone number, a website or an email address. Whichever it is, your address means something to them. Your address says something to them about you. Imagine for a moment that you use a personal postal address. What does this say about you and your business? A personal postal address suggests a serious lack of commercial credibility. Perhaps this is someone operating from their garage or bedroom. Microsoft may have started in a garage but most people would steer clear until they proved successful. Short of actually being in London, a London presence offers the next best thing. A virtual office, London based. The fact that so many people from around the world come to London to work, do business, learn and have fun is a testament to its prestige. It is famed as the mother of parliaments, the master of royal ceremonial and the original home of that most bewildering of games, cricket. It has international prestige and respect. An iconic London address brings prestige with it. That prestige is associated with any business whose address is in London. If you have a London address you are rubbing shoulders with the great and the good of the international business elite. Many businesses have their global headquarters in the city. London is a global hub. It’s international transport links connect it to every other major city in the world. North America, Europe, the Middle East, and Asia are all well connected. Its rail stations connect London to the major centres of population throughout the United Kingdom. They even connect to Europe through the channel tunnel. The London Stock Exchange and London’s other financial services represent not only UK financial activity but global movements of capital. The world meets to do business in London. Along with New York and Silicon Valley, Tech City, London is a major technology hub. It attracts talent from some of the best universities in the world and investment is readily available. Technology sits comfortably alongside the history and tradition of London. Technology and media are often bedfellows. In London that is true too. Both technology and media companies would do well to have a London phone number. According to the World Bank, the United Kingdom is one of the easiest places to do business. It has low levels of regulation and is business friendly. This engenders an entrepreneurial spirit. Basing your business in London, even virtually can give you access to business advantages. Government at a national and local level provides support and advice such as Business Link. In these times of volatility, uncertainty, complexity, and ambiguity it’s hard to find a more reliable and stable location than London. It’s relatively free of conflict, corruption, and chaos. Even the weather is famously rather dull. 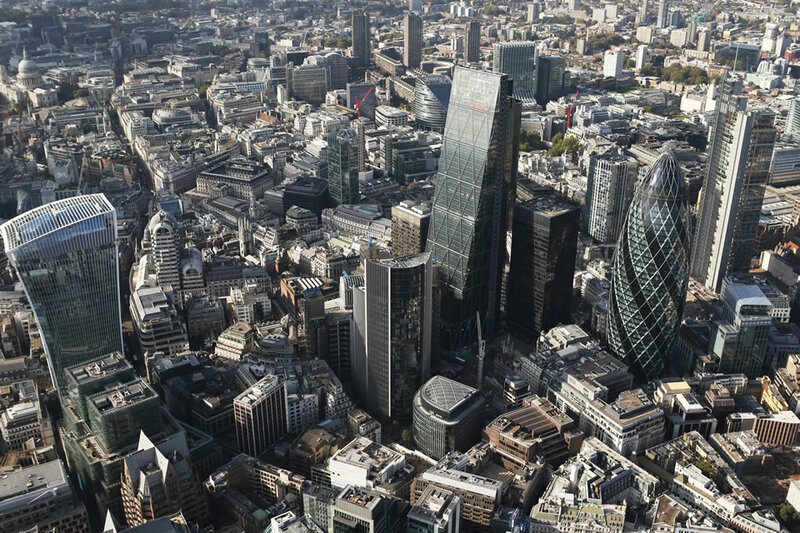 Business needs stability and that’s what London can offer. Despite a little local difficulty with the EU, London has not seen a crash in its fortunes. It continues to offer stability and long-term sustainability. Inflation is stable and low. Income tax, corporation tax, and capital gains tax are all extremely competitive. The government has the “open for business” sign in the London window. The case for London is clear. Does that mean you have to be physically present in London? With virtual office space, you can have all the advantages of a London office but without the downside. An actual office in central London is likely to be some of the most expensive pieces of real estate in the world. The cost would make it prohibitive to most small businesses. A virtual office service would provide a postal address and business telephone number. You could have a virtual receptionist and assistant. It can even provide temporary meeting rooms for London based appointments or conferences. Everything you need to operate with a London presence but without the huge cost. You may do most of your business online. An actual office would be only occasionally necessary. A virtual office provides the flexibility and economy you need. Physical offices also come with problems. They have to be maintained, cleaned and furnished. Travel to a London office is expensive and time taking. It might seem strange to talk about moving to a virtual office. Making that move could be the best way for you to have a London presence and reap the rewards of London’s cache. Take a moment to consider the respect your business would get by having a London address. Learn more about how a virtual office works so you can get started!